Thankfully, there are medications and natural supplements that can help. But before deciding which pain relief substance to use, you have to know and understand where the pain comes from. With a doctor, you will be thoroughly assessed by describing what you feel, the location of the pain, when does it happen and if how long have you been experiencing this. Once the cause of the pain is figured out, you can start looking for a way that can help. Physical therapy, exercise, change in diet and supplements. All of these are deemed effective in relieving and preventing pain in our body. So what are the supplements that can help with pain? This is one of the best post-surgery swelling and acute injury treatments. This is a European flower that has healing and anti-inflammatory properties. For tonsillectomy for example, when a patient takes oral homeopathic arnica, it can decrease pain. It can reduce knee swelling after surgery. This product can be an alternative to ice, herbs, and other pain medications. You can add an arnica ointment onto the bruised are or strained muscles. There are also available lactose-free pellets that you can put under your tongue six times a day. ASU can block any pro-inflammatory chemicals. It can also help prevent the deterioration of cells that line the joints and assist our body to regenerate the healthy connective tissues. A study was conducted in 2015 that shows ASU is significantly more effective compared to a placebo. It also proves that ASU can help improve the knee and hips while reducing NSAID usage, This is primarily used for osteoarthritis. Aquamin is known to relieve osteoarthritis pain and inflammation. This supplement contains calcium, magnesium and other vital minerals that our body needs. All of these contributes to bone health and are all derived from a seaweed called Lithothamnium. It is a rare kind of algae that can be harvested in the Atlantic waters. Because of this, you are sure that this supplement is lactose-free. This is the perfect supplement for vegans. This is derived from the Boswellia tree. Most people use this to reduce the episodes of a headache. According to some studies, Boswellia can reduce inflammation and may treat osteoarthritis, rheumatoid arthritis, asthma and also inflammatory bowel disease. Since this is a valid an-inflammatory agent, it can be used as a painkiller which can also prevent the loss of cartilage. There are even studies claiming that it can be useful for the treatment of leukemia and breast cancer. But if you are currently taking anti-inflammatory medications, Boswellia may interact and reduce the effect of your medication. This is a vine that can be found in the central and southern Africa. The bark and the roots are the main parts of the plant that are used to make the liquid extracts, capsules, tablets and also tea. It is also known to possess anti-inflammatory properties. Cat's claw also contains compounds that can benefit the immune system. 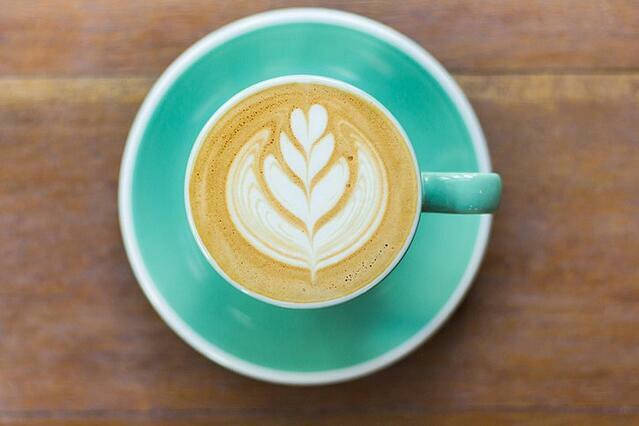 Caffeine is known to treat a headache. It can be useful to treat head pain as long as you know how to use it properly. Remember, caffeine can be a headache treatment and trigger. When you add caffeine to a combination of acetaminophen and aspirin, it can effectively lead to pain relief. This is the reason why we can find caffeine in different products like drinks, chocolate and also pain relievers. Caffeine will not directly cause a headache. But if you drink or take too much, it can cause “caffeine rebound” which is a headache caused by caffeine withdrawal. This is what makes chili peppers taste hot. Aside from giving our meals an extra kick of spiciness, it also has medical purposes. This is one of the main ingredients in creams and patches that are used for pain relief. When this is used on the skin, it blocks the pain messages of your nerves. Capsaicin is best for joint problems like rheumatoid arthritis and also osteoarthritis. It is also best for fibromyalgia, muscle sprains and strains. There are also reports that it can be used for migraines and other headache pains. This spice is commonly used to bring an extra flavor to out rice dishes. But in medicinal scenarios, it is one of the most effective for pain caused by a headache, arthritic inflammation, and toothaches. These are found in capsules or powder and oil form. It can also be used for topical pain relief. Eugenol, the active ingredient found in cloves, is a natural pain reliever. This is also available in over the counter pain rubs. A small about of oil on your gums can already soothe toothaches which you will need temporarily until you reach the dentist. This is a plant that has pyrrolizidine alkaloids (PAs) which are poisonous chemicals. The leaf, roots, and the root-like stem are the main parts of the plant that is used to make medicine. But the roots have ten times PAs than the leaves. Ointments that have comfrey root extract is known to help to reduce acute back pain. There are previous studies that show the efficacy of comfrey in the treatment of ankle sprains and also for arthritic knee pain. It can also be used as a tea to treat an upset stomach, ulcers, and also dysmenorrhea. Devil’s Claw is known as Harpagophytum procumbens, grapple plant, and also a wood spider. Even in the ancient times and up to this day, this is commonly used to treat arthritis, rheumatism, gout, muscle pains, and other musculoskeletal system disorders. The Devil’s Root can also be orally used for liver and gallbladder problems. Some individuals who use Devil’s Claw claim it is also is effective for stomach pains, loss of appetite and as a topical ointment for skin problems and disorders. This is a perennial herb that is from the daisy family. It is commonly found in the roadsides and fields of Eastern Canada, Maryland, and Missouri. Feverfew was traditionally used by the Greek and European herbalists to treat fevers where its name is derived. Feverfew is primarily used to prevent migraine headaches that can cause nausea and vomiting. Ginger is one of the most powerful anti-inflammatory root crops. This supplement is known to be more effective than ibuprofen for pain relief. Ginger is used for treating stomach problems like motion sickness, morning sickness, colic, or upset stomach. It can also be taken to treat nausea and vomiting, gas, diarrhea and even irritable bowel syndrome. What the ginger does is block the formation of these inflammatory compound like the prostaglandins and leukotrienes. This also has antioxidant properties that can break down any inflammation and acidity in the joints. It is also believed that ginger is a good alternative if you want to lose weight. GLA is an omega-6 fatty acid and converts into an anti-inflammatory chemical. Studies show that it can improve joint pains, stiffness, and also grip strength after six months of using this. This supplement is essential for building cartilage. Many individuals take Glucosamine as a supplement for the treatment of arthritis and osteoarthritis. This is naturally found in our joints, but the supplements are derived from animal bones, shells of shellfish, fungi and also from bone marrows and will be used as dietary supplements. Glucosamine can aid in weight loss and relieve pains like jaw pain, and knee joint pains. This is also used as a dietary supplement for individuals with HIV and AIDS. 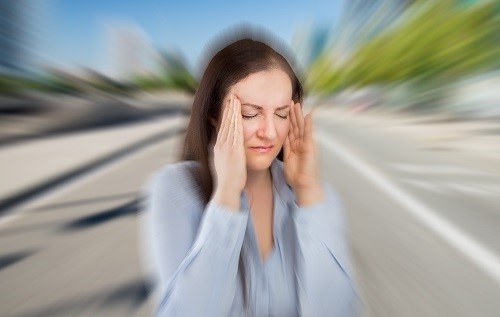 Magnesium supplements can help with migraines, and also muscle spasms and fibromyalgia. The most common form of magnesium supplements is the oral supplement and intravenous magnesium. However, oral supplements are much simpler to find. This is best for muscle pains or spasm, poor digestion, as well as anxiety and sleeping problems. It is easy to lose magnesium, but recuperating the magnesium level in the body may take awhile. This is the kind of fat that you would want to have in your diet. This fat is beneficial in keeping our body healthy and is very useful in the prevention of back pain and menstrual cramps. Omega-3 fatty acids can help lower the elevated triglyceride levels in the body which can put your heart at risk for heart disease and also reduce the stiffness which causes rheumatoid arthritis. It has anti-inflammatory capabilities that are commonly used in medications. Research shows that people who have omega-3 fatty acids in their diet are known to have lower levels of depression and lower risk for bipolar disorders. SAM-e acts as an analgesic and has anti-inflammatory properties. What it does is stimulate the growth of cartilage as it affects the neurotransmitters like serotonin which will, in turn, reduce pain. Currently, studies attest to how effective SAM-e is a non-steroidal anti-inflammatory drug or NSAIDs. SAM-e is known to provide longer benefits and lessen the side effects and is best for osteoarthritis, but can also be used for fibromyalgia. Turmeric is the Persian word “saffron.” This supplement comes from the ginger family. This natural supplement has been used for thousands of years in East India and also in the Middle East and is still one of the most popular spices in the world. Turmeric is known as an anti-inflammatory agent. This is used to treat different kinds of conditions like jaundice, menstrual problems, blood in urine, and hemorrhage. It is also used to treat toothaches, bruises and even chest pains and flatulence. This is a natural type of aspirin. White Willow Bark can be taken as a tea or capsule for headaches and is found in most temperate and arctic places like Antarctica and Australia. Willows can be small trees, shrubs, and even ground covers. This supplement is traditionally used to treat inflammation, pain, and other musculoskeletal conditions. The Willow bark can also be effective as an anticancer and as an antioxidant. There are clinical studies that it can be used to treat lower back pain and arthritis. One of the primary uses of this root is for muscle and joint pains. Women who suffer menstrual cramps from menopause also find this useful to treat hot flashes and anxiety. Even during the ancient times, Valerian root is used for sleeping disorders like insomnia. This is usually mixed with hops, lemon balm and also other herbs that can cause drowsiness. For people who want to stop using sleeping pills, the Valerian root as an alternative. Generally, this acts as a sedative and pain reliever that affects the brain and the nervous system. Using over-the-counter pain relief medications are very common in the first instance of pain. This can include a headache, toothache, back pains, joint pains, just to name a few. These products can be found at every drug store, and you will not need a doctor’s prescription to purchase them. However, these products may or may not contain harmful chemicals, so it is better to take them with extra caution to avoid any unwanted side effects. This medication is used to treat mild to moderate pain. Tylenol can be used for headaches, menstrual periods, and even tooth and back pains. It has also been successful in treating osteoarthritis and flu pains. Aside from all of these benefits, it can also lower fever. If you are uncertain about using Tylenol, consult your doctor and always make sure to read the directions first. You can find many brands of acetaminophen in drug stores all around the world, and there is acetaminophen for adults and children, which are usually in suspension form. An excellent example of this is ibuprofen like Advil and Motrin, naproxen like Aleve and Naprosyn. This can also be used to lower fever and relieve pains caused by painful muscles and stiffness. However, unlike acetaminophen, NSAIDs can reduce inflammation like swelling and irritation. This relieves pain by reducing prostaglandin reproduction which are the substances that cause pain. These products should be taken with caution to avoid serious health problems like heart attack or stroke or kidney problems. These products cannot be purchased without a doctor’s prescription. Prescription drugs are stronger compared to over-the-counter medications, so before a prescription is given, a thorough physical and medical examination will be done to make sure that you are avoiding any contraindications. 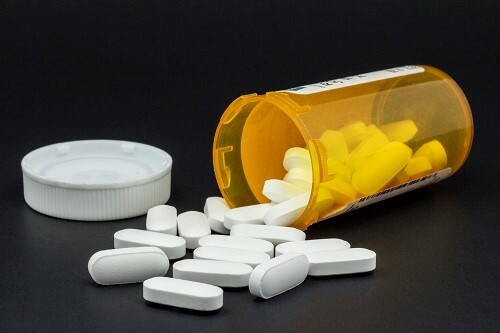 The prescription corticosteroids are the primary drugs used to relieve the pain, swelling, redness as well as itching and allergic reactions to inflammation. These are used to treat allergic reaction symptoms, asthma, and even arthritis. When corticosteroids are used for pain, it can be taken in pill or injection forms which specifically targets the joints. Some of the good examples of corticosteroids are prednisone, prednisolone, and also methylprednisolone. These are powerful medicines that might cause serious side effects which is the reason why there is a great need for a doctors’ prescription. These are narcotic pain relief medications. It contains natural, synthetic, and also semi-synthetic opiates. These opioids are usually used for acute pain that can be caused by surgery. Some of the best examples of opioids are morphine, fentanyl, and also oxycodone and codeine. The drugs are very effective for pain. It will not cause stomach bleeding or in other parts of the body which are common in other pain relievers. It is very rare for an individual to get addicted to opioids as long as you don't take it in a very long time. These are taken not only to treat emotional conditions but also as a pain reliever. Antidepressants adjust the neurotransmitter or the natural chemicals in the brain. These can make the signals of the body available to promote well-being and relaxation. It can also help other individuals control their chronic pain problems that will not typically respond to other treatments. These are the most common drugs used to treat seizure disorders. Some of the anticonvulsants are showing efficacy in treating pains. It is not revealed yet how these medications control pain but they are very effective in minimizing the effects of the nerves which causes pain. Some of the most popular anticonvulsants are Tegretol or carbamazepine, Neurontin or gabapentin, and also Lyrica or pregabalin. Always keep essential oils on hand at all times. There are plenty of essential oils available on the market today. The most commonly used for pain are chamomile, lavender or sage. You can rub it in your temples, painful joints or chest to help relax your muscles and calm your mind. Aromatherapy is one way to relieve stress which is the cause of most of the pain we experience. This magnesium-rich salt is a natural painkiller that can be very helpful to treat bone and joint pains as well as muscle sores. This is the “go to” remedy for heel spur. For a woman who just gave birth, a bath with Epsom salt can help alleviate the soreness. This is another way of topical pain relief. This is a prescription medication which is also considered as one of the most effective. If you want to stay away from prescription medications, this is alternative. These live bacteria are known to keep our body healthy. Not only that, probiotics can reduce inflammation. Probiotics also reduce the pain and bloat caused by irritable bowel syndrome. 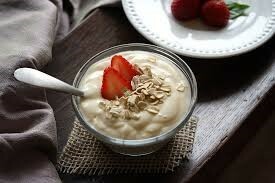 You can get this from foods that are rich in probiotics like yogurts, kimchi, sauerkraut, and kefir. When dealing with pain, there are numerous ways to deal with it. There’s no reason why we have to suffer from this discomfort and let it disturb our regular life cycle. You can choose from the regular over the counter or prescription medications, and there are also all-natural alternatives. There are even topical methods that you can opt for. 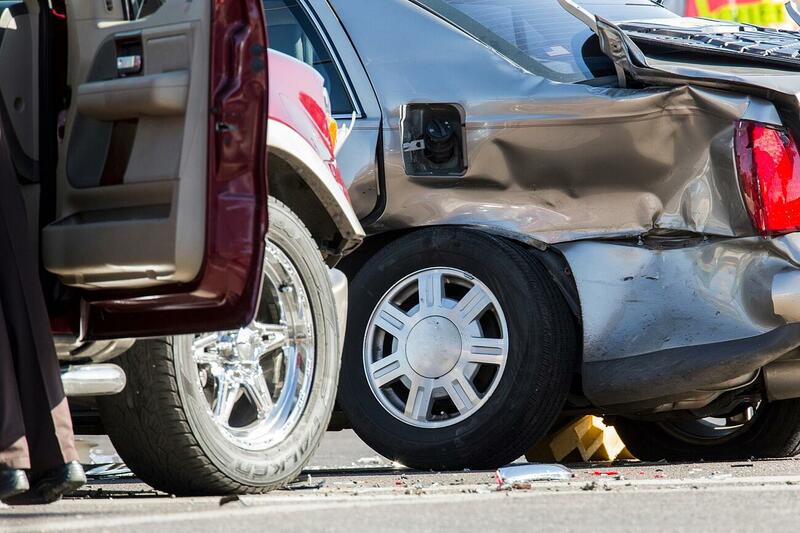 If you've been injured in a car accident and are in significant pain, these supplements are incredibly useful. However, it is essential to visit a doctor first. 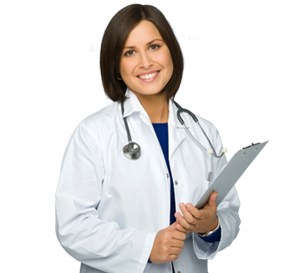 If you'd like talk to a professional and qualified doctor today, click the link below to find the perfect doctor for you and take your critical first step toward pain relief now.